Download now or pin to your L/A Board! 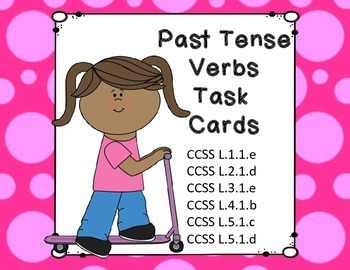 Are you looking for a quick assessment, learning center, or game for past tense verbs? This is just the ticket. 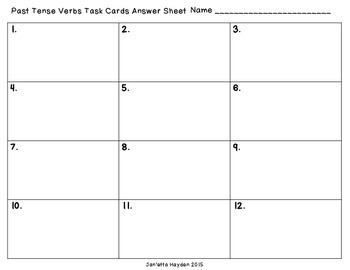 There are 24 task cards assessing past tense verbs along with an answer sheet. 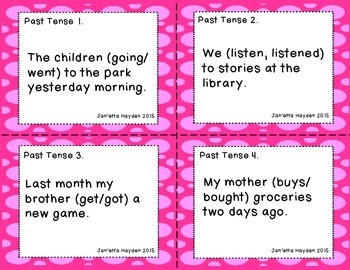 Each card has a sentence printed on it and students must choose which past tense verbs belongs in the sentence. 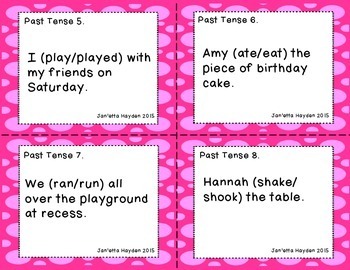 They write the homophone correctly on the answer sheet.